I often hear teachers ask what books they should borrow, buy or just recommend to their students. After many years following along with my students' tastes and trying to put the right book in every hand, I have built a list of superstars. These are wonderful books to have in your classroom. I loaned them out as part of my outside reading program, but you could also just make them available to interested readers if you aren't doing outside reading (I'll be trying to convince you to start though, in another blog post before long!). You may have money from your school available for classroom expenses, in which case you can order some of these books each year and slowly build your library. I usually just spent my own money (rrgh, but I couldn't help myself) and picked them up at Goodwill or used from Powell's. 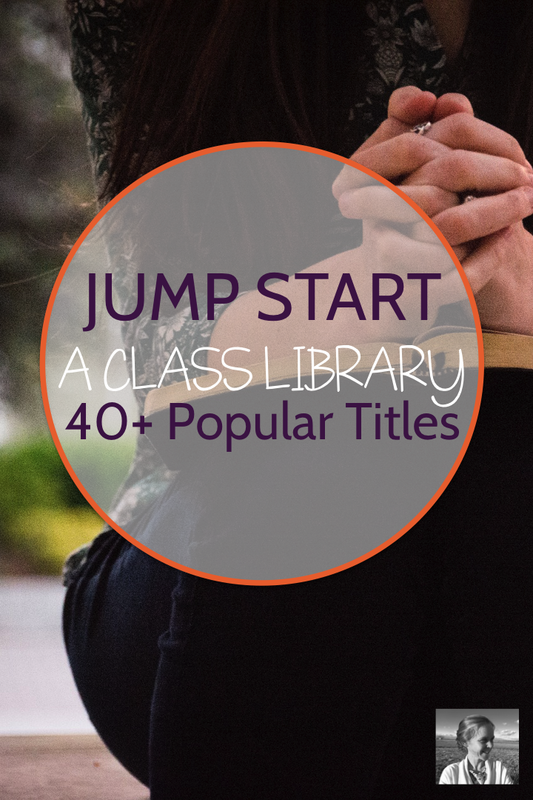 You can look for stray books on old classroom shelves, invite students to bring in their old favorites to share, shop rummage sales, eBay or library sales. It's always the right time to start building an amazing bookshelf for your amazing readers! I'm just going to put the list here, and assure you that these have been vetted by my students. But if you'd like to see their actual reviews, check out some of their reading blogs from past years here and here. I hope you start collecting soon! Get your next recommendations from our amazing community in the Creative High School English Facebook group. Can't wait to see you there.